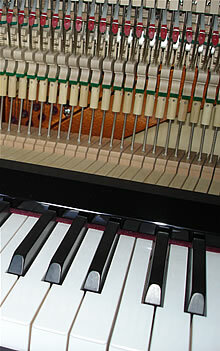 “ The Holburne Museum has the Steinway Model D Concert Grand Piano that was selected by Sergei Rachmaninov (1873-1943) from the stock at Steinway's in London for his personal use at the concerts he gave in Britain. The Holburne Museum is pleased to be using the friendly and professional services of Steve Burden in tuning and maintaining this piano. As he has an impressive depth of piano-knowledge, we are confident that the care and maintenance of this wonderful piano is in a safe pair of hands. Read more comments on our blog.